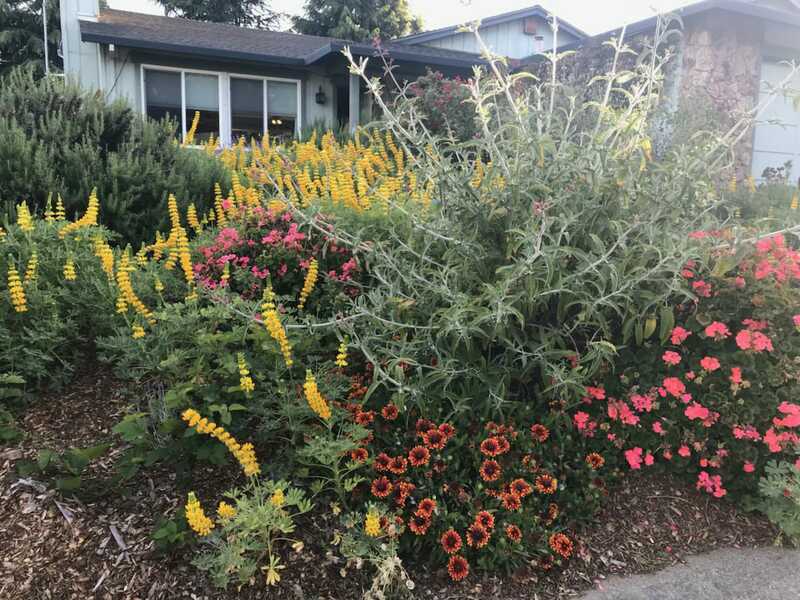 Wendy grew up with a lot of fruit trees in her Southern California home, but it wasn’t until she moved to San Francisco that she got more involved with gardening. She took a semester long class through Garden for the Environment where she learned about all aspects of gardening including permaculture. 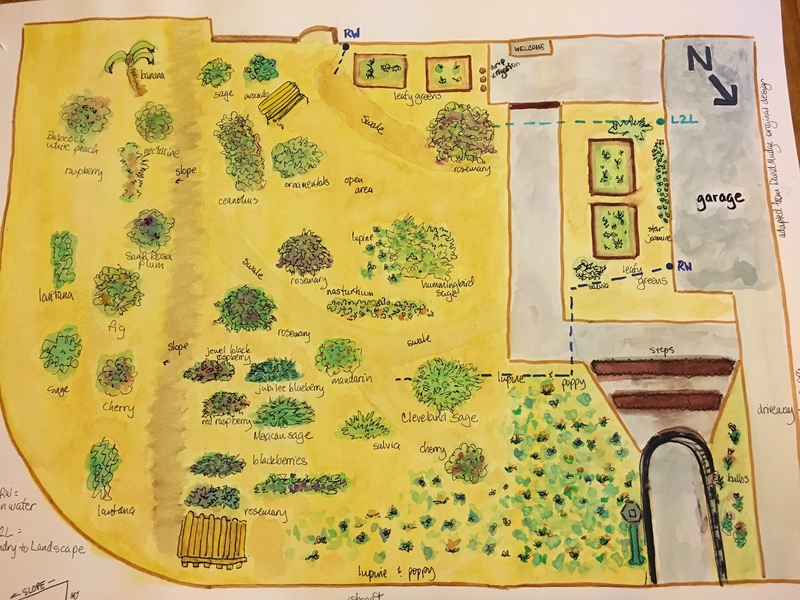 This class inspired her to get a community garden plot in San Francisco. Friends of Wendy’s are still raising food in this plot. Four years ago their family moved to Benicia, partly so that we could have space to grow a garden. Our children have enjoyed growing their own food and getting fresh eggs from our chickens. Wendy learned about the program through the banner that was at the Avant Garden. She expected that she would learn about permaculture as they redid their front yard. We had a positive experience during the installation. It was wonderful to connect with so many other likeminded people who were willing to work together to learn more about permaculture. I learned more about permaculture through the process but I think the greatest benefit was how it brought our neighborhood and community together to learn. My vision for the future is that our garden continues to be a learning space both for my children and for our community. I hope that our yard will inspire people in our neighborhood and become a gathering place for information and conversation. As we begin to produce more food, I hope to set up a basket where people in the neighborhood can trade food. I also hope to provide people with resources so that they can create their own food forest. See a gallery of Curious Garden photos here.